Diğer bilgiler Currently Working! 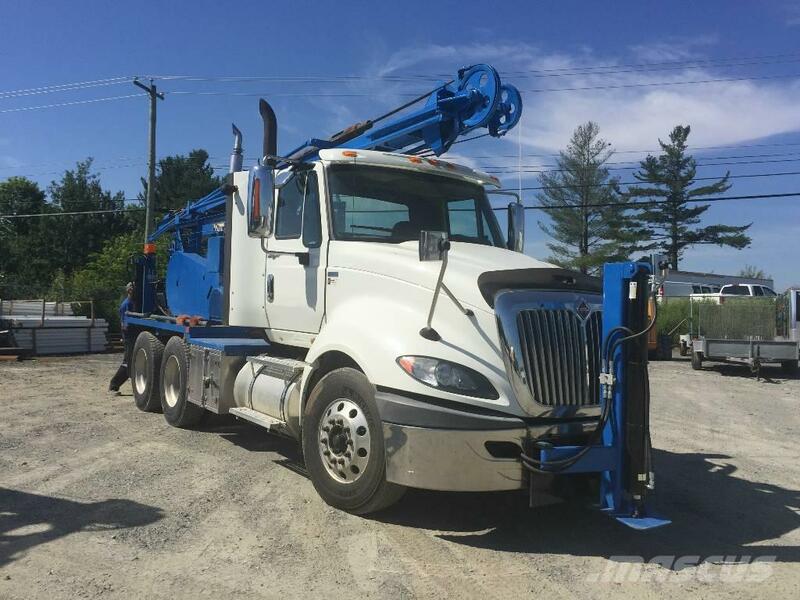 Bucyrus-Erie 22W Cable Drill, mounted on a 2013 International Prostar truck, with 377000 km, 475 HP engine, air ride. Drill engine is Perkins 50HP Diesel, hydraulic tower, hydraulic jacks, bailer cable is new, tools included are standard stem, bailer, keys, 6'' & 8'' bit.